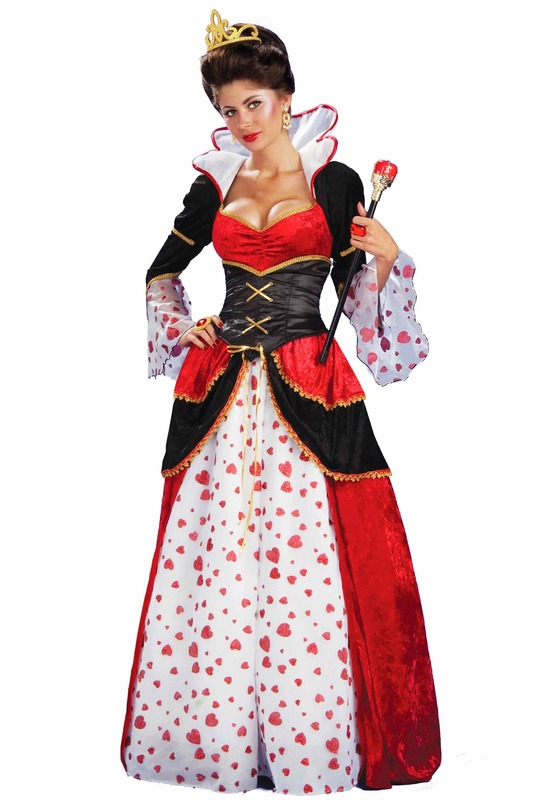 The Queen of Hearts from Alice in Wonderland is a queen who seems to have lost her marbles. She plays croquet with flamingos. She has a trial for a crime that doesn’t happen. But she also seems like she has a lot of fun. She is is a queen after all. And that is something we wouldn't mind being. So, grab your pink plastic flamingos, and put on this Woman's Queen of Hearts Costume for the best garden party anyone has ever been to. You will be the perfect hostess in this red, black, and white dress. And you can be benevolent if you want, or you can be as Marie-Antoinette as you like, or you can simply be a little bit off your rocker (in the fun way). The kind of off your rocker that has you playing croquet with flamingos. Just try not to yell "off with their heads" too many times. If you do you might not have very many party goers.